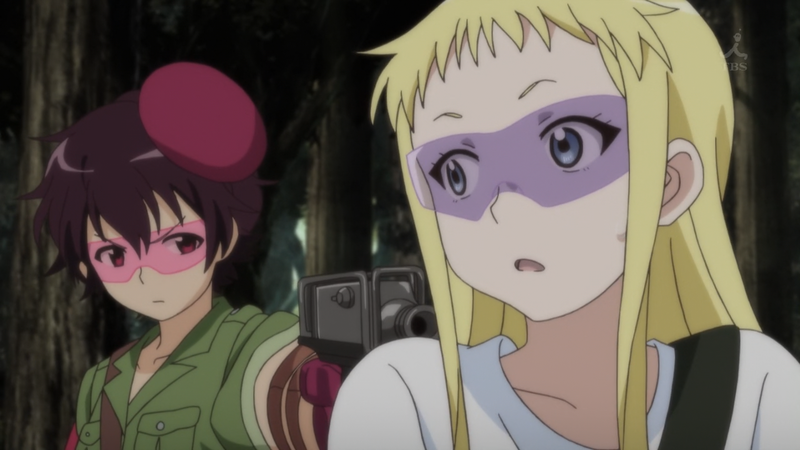 I don’t know why, but it feels like it’s been a while since we’ve seen some straight-up airsoft action. Luckily, we get treated to a little action this episode as the C3-bu enters the 24 hour tournament, which has some fascinating twists to it. For one, it’s 24 hours (surprise, surprise). During this time period, each team fights for flags that are dropped at three hour intervals, and since there are only a limited amount, teams are eliminated in a musical chairs style. Of course, teams can still be eliminated in the standard way, in which all of the members are hit and therefore are unable to continue. This just sounds really intense, mainly for the fact that it’s nonstop save for a few breaks. 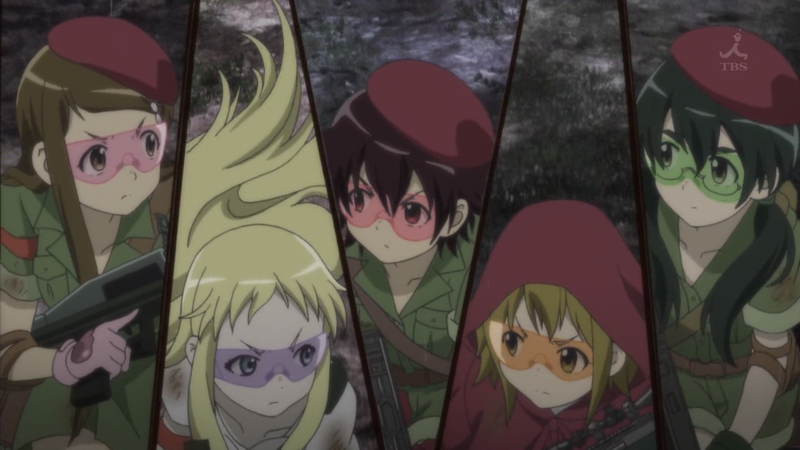 People even get to watch the whole event, which kind of reminds a little of Girls und Panzer. The honor system thing I was talking about towards the beginning of the series finally came up this episode. Apparently, if a competitor continues to fire after being hit, he or she causes the whole team to be disqualified. Therefore, the honor system is taken quite seriously and can enforced with cameras. However, once they mentioned the rule I just knew that it would become a problem for the C3-bu, especially with Yura acting as hot-headed as she has been. It’s unfortunate that her good intentions have been causing friction between her and the rest of the team. I just want everyone to get along, but everyone except Renton seems to be getting annoyed with Yura’s new behavior. Though, if it produces results then does it matter what Yura does? Well, I guess that depends where your moral boundaries lie. When you get into the competitive spirit, then you feel like you literally have to do everything in your ability to win. 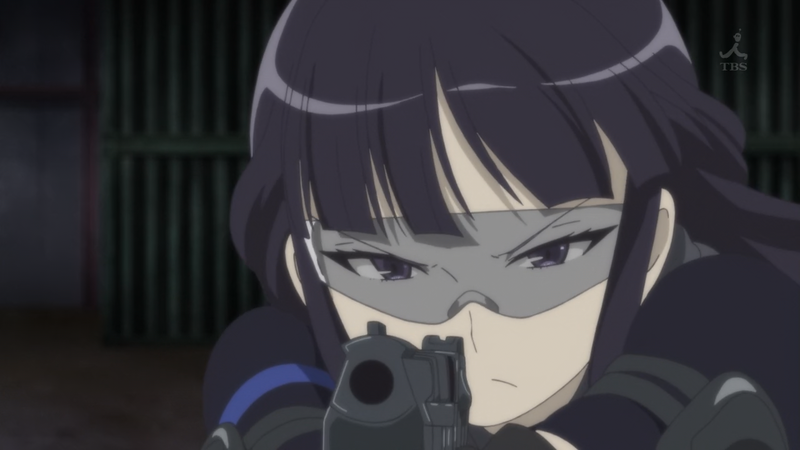 In Yura’s case, she shoots Rin after knowingly taking a shot herself, committing what’s known as “zombieing.” I think because their shoot-off takes place indoors, the cameras don’t catch the act. However, I think Rin notices, and it’s strange that she doesn’t say anything about it. Now I wonder how this will affect Yura in the next episode. Surely, she must regret her actions, which is unfortunate because I want her to have a game where she has no regrets.